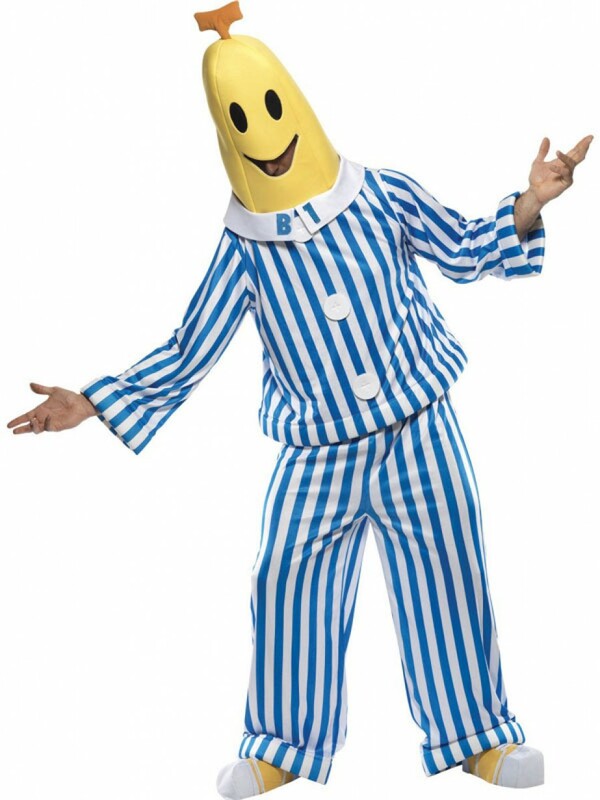 Surprise fellow party-goers with this great Bananas in Pyjamas Costume, perfect for TV/90s fancy dress! A novelty four piece costume including stripy top and trousers, banana headpiece and shoe covers. Includes: Top, Trousers, Headpiece and Shoe Covers. 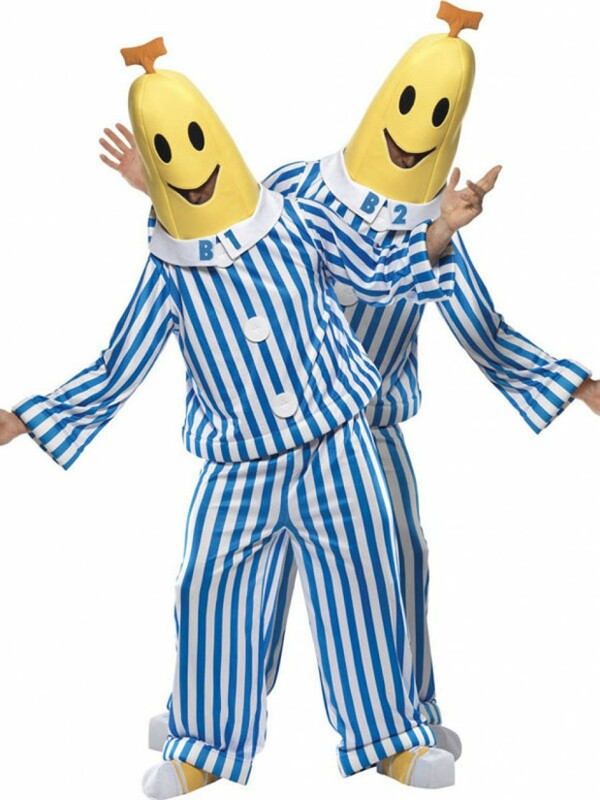 Go back in time with this fabulous Bananas in Pyjamas Costume, perfect for Children’s Parties/90s/TV themed fancy dress occasions. This outfit includes Top, Trousers, Headpiece and Shoe Covers. The top follows the iconic blue and white striped design; it has three material buttons down the middle and a white collar. There are interchangeable ‘B1’ and ‘B2’ numbers included so that if you choose to dress up with a friend you can perfect complement each other. 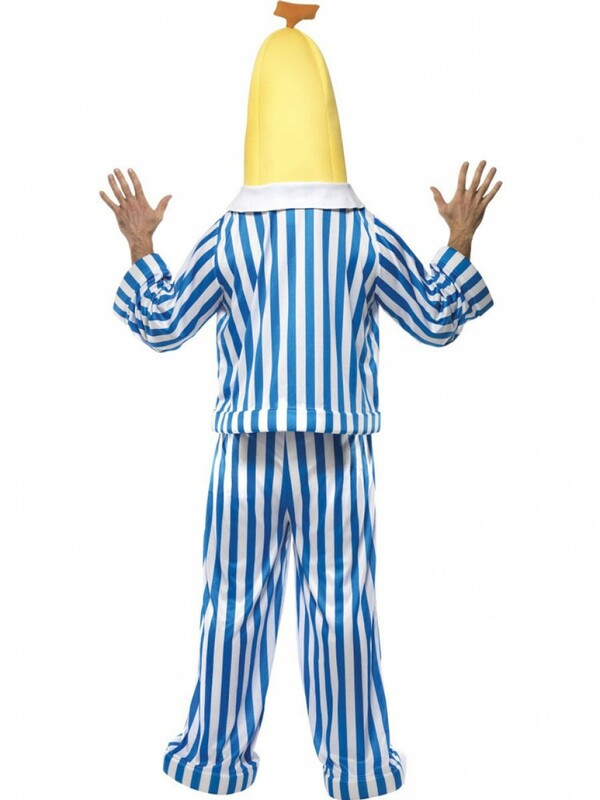 The Bananas in Pyjamas Costume also includes a pair of stripy trousers and the infamous big banana head. The oversized yellow banana headpiece pulls out all the stops; the open mouth design allows the wearer to see out. The final touch to this fantastic costume are a pair of yellow and white shoe covers to complete the look. Great as a single’s costume, but even better if you double up as a couple or with a friend to cause double the trouble at any 90s/TV/Character fancy dress party! 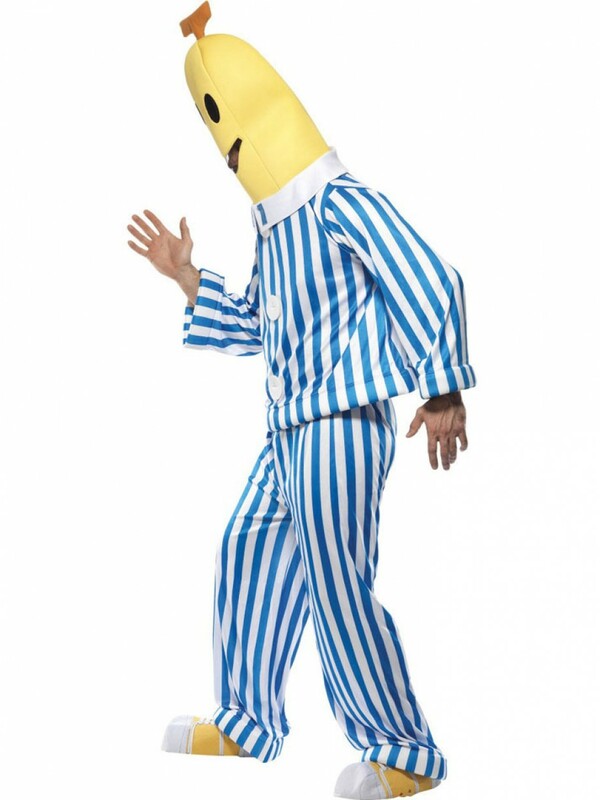 Bananas in Pyjamas Costume including Top, Trousers, Headpiece and Shoe Covers.